I know that buying a new home or selling your current home is one of the most important decisions you ever make! With over $70 million in residential sales, I have the experience and knowledge necessary to help you reach your real estate goals, whether it’s helping you effectively price and market your home or advising and orchestrating a negotiation strategy to make sure you get exactly what you want. I am also experienced in working with short sales and foreclosures and can effectively guide you through the entire process to help you achieve a successful outcome. For people selling their home, I have developed an approach to get offers and work with the bank towards short sale approval. For buyers looking to purchase short sales or foreclosures, I educate you on the process of working with the banks and the potential pitfalls and also makes sure your interests are protected. I am committed to ensuring my clients make informed decisions by keeping up to date on current market conditions as well as using my business background to analyze market data. Along with providing the best professional advice, I am dedicated to key business fundamentals, maintaining clear and prompt communication, paying close attention to detail and continually keeping your best interest in mind at all times. I also recognizes your time is valuable and strive to make the entire real estate process as smooth as possible. One of my differentiating factors is my focus on educating my clients, whether it’s the first time buyer who needs help understanding the home buying process and guidance in making the right decision or the out of town clients who need help finding the neighborhood that best fits their needs. I have an extensive and dynamic understanding of the many types of homes in Chicago as well as knowledge about Chicago’s diverse neighborhoods and what they have to offer. One big advantage to working with me is that I am a licensed CERTIFIED FINANCIAL PLANNER™ with a business management and financial background. This enables me to provide solid advice in the real estate industry that takes into consideration other factors besides the purchase price of a home. Since becoming a Realtor in 2003, my success has come from the highest endorsement possible – my clients! Referrals have consistently led me to the Top 5% and Top 10% of the Chicago Association of Realtors year after year. I have worked with two major Chicagoland brokerage firms before joining Chicago Real Estate Resources where my focus continues to be delivering the best service, education and execution to my clients. I specialize in the purchase and sale of residential real estate, including condominiums, single family homes and multi-unit buildings. My clients range from first time home buyers to seasoned property investors. 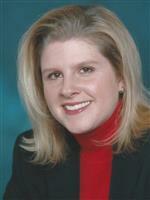 I also assist clients in renting out their properties or finding a renter a new home. I love the diversity of Chicago and the different things that each neighborhood has to offer! I have also have experience in some additional suburbs, but primarily I work with clients in Chicago and neighboring suburbs.